The weather is May was already fairly dry with some very warm spells and flowers seemed to blossom and fade even more quickly than usual. 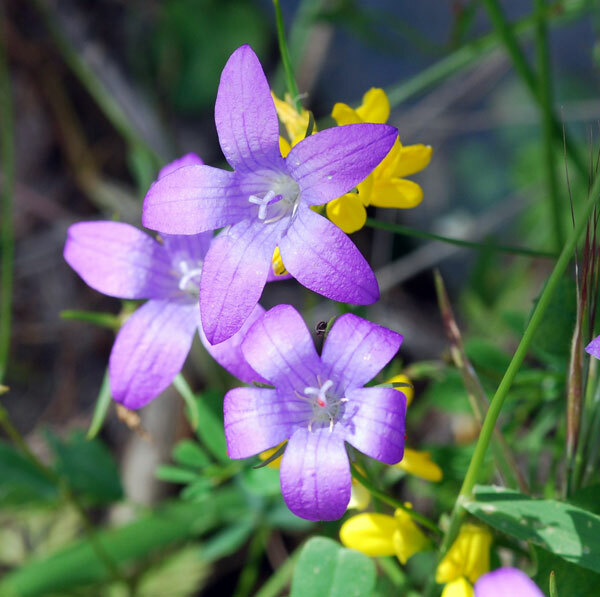 A few outings proved rewarding, however, with my first sighting of Dictamos in the wild and a wonderful group of tiny Tulipa cretica being our reward for driving to the Nida Plateau in search of an elusive late flowering orchid or ophrys. We were rewarded closer to home with a single Serapias in flower above Malia in a field where Nigella blossoms. This field is rich with orchids earlier in the season, but by the middle of May all sign of them had disappeared. Asperula pubescens - This very pretty Asperula was growing in a large mass on a rocky outcrop at the side of the road. I just had to stop to photograph it. Bellevalia trifoliate? 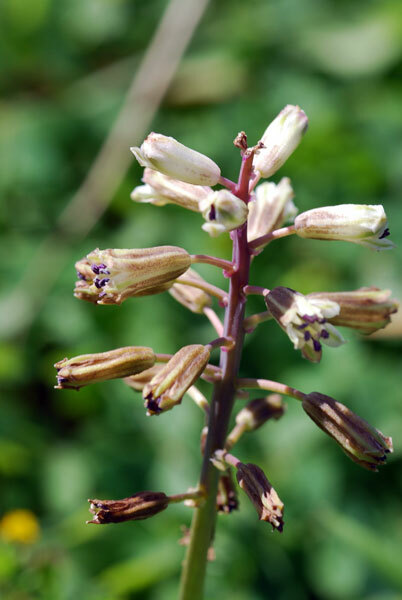 / Βελλεβαλία / Traubenhyazinthen - In the Elounda area there are several places where this Bellevalia grows. It has three long strap like leaves and seems to thrive here. I am unsure of its identification and would appreciate some help with this. 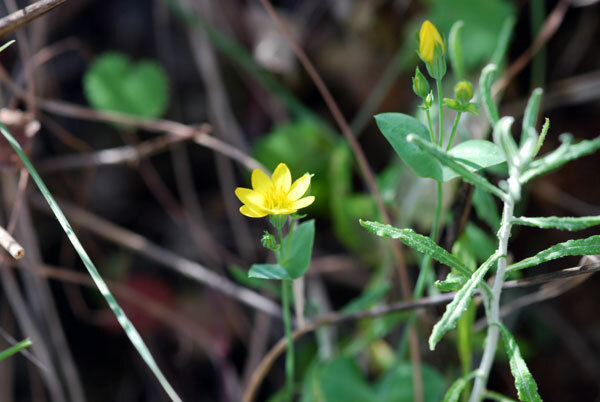 Blackstonia perfoliata - Yellow-wort - A little plant with bright and cheerful yellow flowers, it can prove difficult to photograph, particularly when even a slight breeze is blowing. Campanula pelviformis / Hipped shaped Bellflower / Καμπανούλα η λεκαυόμοορψη / Beckenförmige Glockenblume - The stunning blue of this campanula always makes me want to reach for my paints! C. pelviformis is endemic to eastern Crete where it is a common sight in April and May. 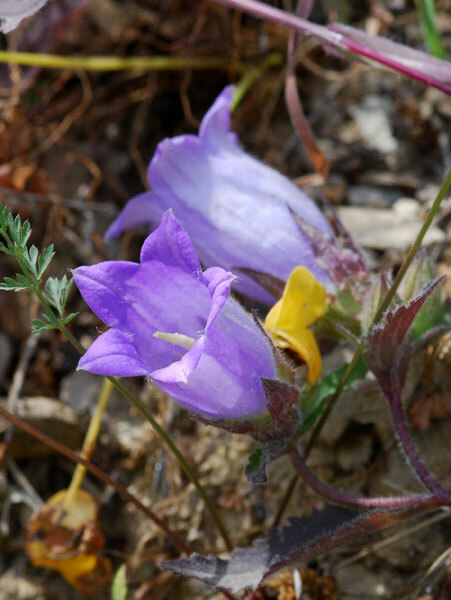 Campanula spatulata / Spoon shaped Bellflower / Καμπανούλα η κοχλιαρόφυλλη / Löffelförmige Glockenblume - Another endemic campanula which is found mostly in the east of the island. C. spatulata is often found growing through spiny bushes which gives it protection from grazing sheep and goats. 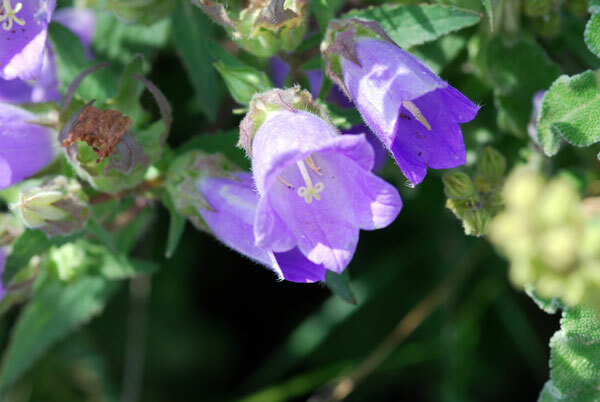 Campanula tubulosa / Tubular Bellflower / Καμπανούλα η σωληηνωτή / Rőhrenförmige Glockenblume - Another of the wonderful bellflowers out at this time of the year. 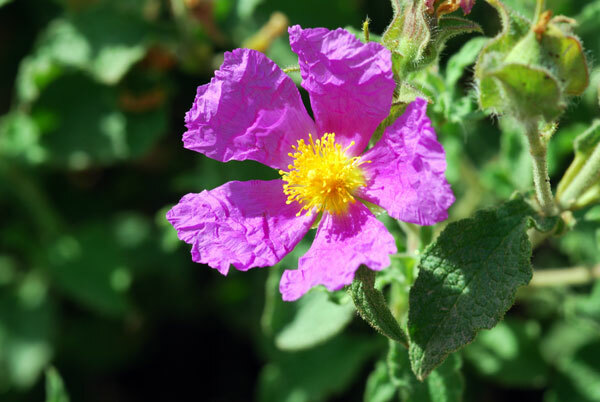 Cistus creticus / Cretan cistus / Λαδανιά / Kretische Zistrose - Despite its name, this cistus is not endemic to Crete. It is the shrub from which laudanum was obtained and in folk museums on the island, the beaters that were used can often be seen. 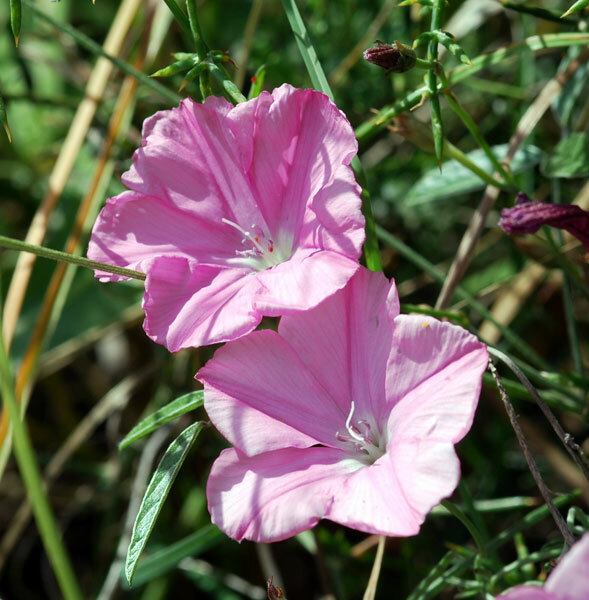 Convolvulus elegantissimus / Bindweed / Κονβόλβουλος ο κομψότατος / Malvenblattrige Winde - This convolvulus can be recognised by the colour of its leaves which are a silver green. 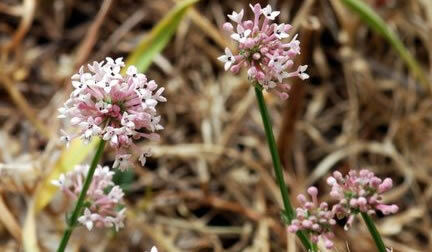 It can often be found on the roadside all over the island. 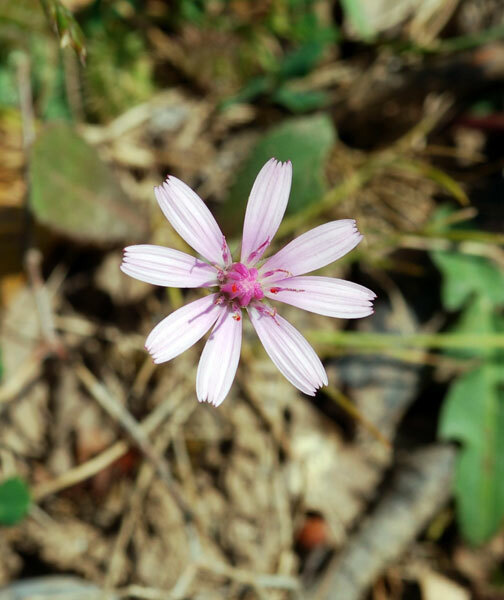 Crepis rubra? - I am not at all sure what this pretty little flower is and would be grateful for an identification.